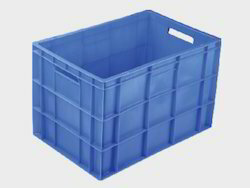 Owing to our years of industry experience, we are offering a comprehensive array of Industrial Plastic Crates. We offer these crates in a number of sizes, shapes and dimensions as per the needs of the clients. The offered product is widely acclaimed by our patrons for its rugged design, leak proof nature, and crack resistance. 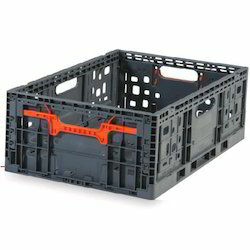 Plastic crates used in distribution and storage industries are an advanced reproduction of the traditional wooden crates. The use of plastic crates has also increased because of awareness of global warming. Nilkamal Roto Moulded Crates have a specially reinforced bottom to withstand rough handling on the shop floor. We have also successfully introduced roto moulded crates with palletized bottom for easy handling with MHE, as well as extra large sizes to handle large volumes.Our Doff Crates also find widespread acceptance in the textile industry throughout India.